Thanks to the invention of airplanes and highways, traveling is one of life’s many joys we are fortunate to be able to do with relative ease. Yet despite the attraction of going to a new place quickly, the actual act of traveling can be kind of a pain. Whether by plane, car, or boat we’ve compiled a list of vegan travel essentials to make your journey more relaxing, easier and overall enjoyable. We heard it many times over: traveling is drying. So be kind to your skin and lather up with some delicious vegan-friendly lotion. We highly recommend you try this vegan handmade body lotion for only $12.50, you’ll thank us later! Stands all over the world are starting to adapt to the vegan lif estyle, but just in case load up on your favorite portable vegan snacks. A hungry traveler is not a happy one. Read our list of your all time favorite snacks that you won’t believe are vegan and make it an even happier trip. Traveling is dehydrating and drying, so quench your thirst with an eco and animal friendly water bottle that can easily be refilled. Grab a refreshing face mist, some toothpaste and any other cosmetics you might need to feel refreshed during/after traveling. Make sure they’re in carry-on size if you’re flying (3.4 oz or under) though! Even if you’re traveling in the warmer month’s planes and other modes of transportation can get really cold. 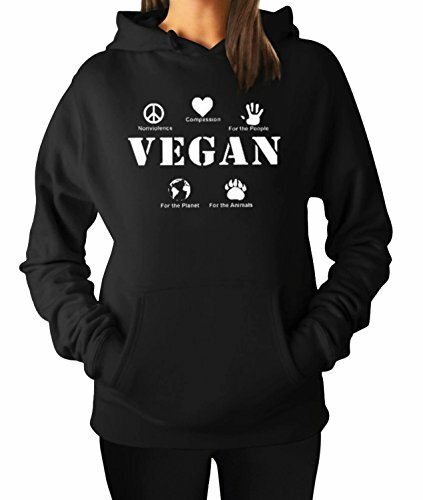 So stay warm with a comfortable, cruelty free garb like this organic hoodie available to you for only $19.99! Next time you travel make sure to grab these necessities for smooth sailing to wherever your destination might be. Also check out 5 vegan products for a happy and healthy summer.